Create an account to save time now and in the future. 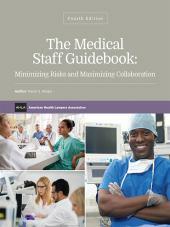 The Medical Staff Guidebook: Minimizing Risk and Maximizing Collaboration will be indispensable to all in the health care field who need to know how to ensure their medical staff bylaws cover the essential aspects to better serve both the medical staff's needs and those of the health care entity. The Medical Staff Guidebook: Minimizing Risk and Maximizing Collaboration is a new Fourth Edition of the formerly titled Health Care Entity Bylaws and Related Documents. 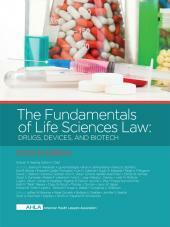 AHLA recommends this new edition of the Guidebook to all in the health care field who need to know how to ensure their medical staff bylaws cover the essential aspects to better serve both the medical staff's needs and those of the health care entity. Medical staffs and health care entities have historically had a unique relationship of interdependence. While the governing body of the health care entity is ultimately responsible for the success or failure of the entity, it is the medical staff that provides the necessary ingredient for the success, i.e. quality patient care. In recent years, there has been an increase in direct integration between physicians and health care entities, through a number of different relationships. This change, along with increased scrutiny of the industry from regulators and the market place, means that the medical staff/health care entity relationship may become increasingly difficult to manage. At the heart of this balancing act are the medical staff bylaws. Well-drafted bylaws can help create a cohesive working relationship, leading to enhanced patient care. The publication includes discussion of the impact that the increasing number of facilities where health services are provided, and in which organized medical staffs exist, has had. 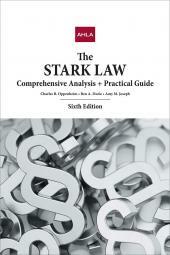 Sample language, and key clauses. Karen Rieger is recognized by her clients and peers throughout Oklahoma as an authority on health care legal issues and issues affecting nonprofit corporations. She joined Crowe & Dunlevy in 1981, and today, as a director and shareholder, serves as the chair of the firm’s Healthcare practice group. Ms. Rieger received a B.A. Degree in Journalism (with distinction) and a J.D. Degree (with honors) from the University of Oklahoma. Her practice includes representation of health care institutions and practitioners throughout Oklahoma and surrounding states on a broad range of health law issues including: the Affordable Care Act, the Anti-Kickback and Stark laws, HIPAA privacy and security requirements, laws affecting tax-exempt and governmental healthcare providers, Medicare reimbursement rules, medical staff issues and others. She has been involved structuring numerous acquisitions, joint ventures and contracts involving health care providers. Rieger is immediate past chair of the OBA Health Law Section, and has served on the Board of Editors of the Oklahoma Bar Journal and on the Awards Committee. She serves as a director of the Oklahoma Health Lawyers Association and is an active member of the American Health Lawyers Association, both as a frequent seminar presenter and author of The Medical Staff Guidebook: Minimizing Risks and Maximizing Collaboration (2016 Edition). Rieger is an associate bar examiner for the Oklahoma Bar Association and is a member of the American Bar Association's Health Law and Business Association sections. She has also served as a University of Oklahoma College of Law adjunct professor of healthcare law. Rieger has served on a number of civic and charitable boards over the years, and currently serves as Chairperson of the Oklahoma Cerebral Palsy Commission, which operates the J.D. McCarty Center for Children with Developmental Disabilities. She is a member of Leadership Oklahoma, Class XXII, and on the Board of Canterbury Voices. 1.3   What are Medical Staff Bylaws? American Health Lawyers ® 2019. All rights reserved.